President's Office - Regional Administration & Local Government. The Government of Tanzania (GoT) through the President’s Office, Regional Administration and Local Government (PO-RALG) has been implementing the Tanzania Strategic Cities Project (TSCP) in selected urban Local Government Authorities financed by the World Bank (IDA) credit and a grant from the Government of the Kingdom of Denmark. The TSCP is an investment operation that provides finance for critical infrastructure in 4 cities of Mwanza, Tanga, Mbeya and Arusha; 4 Municipalities of Ilemela, Dodoma, Kigoma-Ujiji, Mtwara-Mikindani and the Capital Development Authority (CDA). Works have involved upgrading /rehabilitation of a number of artery urban roads and drainage and associated structures such as drainage ditches, culverts/bridges, footpaths and street lighting and local infrastructure such as bus and lorry stands aimed to improve movement of people, goods and services in the urban areas. TSCP also fund development of infrastructure to improve solid waste management including solid waste collection centres, equipment for transportation and disposal, and the development or improvement of disposal sites by constructing modern sanitary landfills. A number of infrastructures were not financed under the first phase TSCP due to limitation of available funds under the credit. Also Participating LGAs have identified new sub-projects important for functionality of existing sub-projects. Based on these identified gaps, GoT prepared a credit – Tanzania Strategic Cities Project - Additional Financing with a view of financing these additional infrastructure investments and coupled improvements of management capability of the mentioned urban LGAs and CDA in Dodoma. As a requirement of the Tanzania EIA and Audit Regulations of 2005 and the World Bank Safe Guard Policies, various Environmental and Social documents have been prepared to comply the requirements; these include ESIA reports and RAP/ARAP reports where needed. The documents provide guidance for environmental and social issues to ensure that the proposed infrastructure developments are implemented in an environmentally and socially sustainable manner. 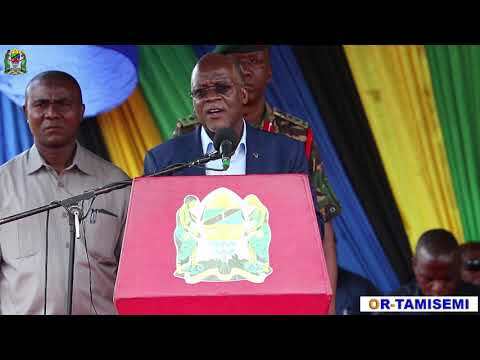 The Government of Tanzania (GoT) through the President’s Office- Regional Administration and Local Government has received funds from the World Bank (IDA Credit) and a grant from the Government of the Kingdom of Denmark to implement the Tanzania Strategic Cities Project (TSCP). PO-RALG has been implementing the TSCP (since 2010) with 7 participating urban Local Government Authorities (LGAs): 4 cities of Mwanza, Tanga, Mbeya and Arusha; and 3 Municipalities of Dodoma, Kigoma-Ujiji and Mtwara-Mikindani. In Dodoma, the project is supporting both the Dodoma Municipal Council and the Capital Development Authority (CDA). Currently, the TSCP is supporting 8 urban Local Government Authorities after Ilemela Municipal Council was split from the Mwanza City Council. It is to be noted that as a result of the change in the administrative boundaries of one of the LGAs in the original project (Mwanza City Council split into Mwanza City Council and Ilemela Municipal Council), Ilemela MC officially became an additional Project LGA during AFI and for AFII, Ilemela will implement its own projects. It should also be noted that with TSCP AF11, the Government of the Kingdom of Denmark will not be part of the implementation. The AFII will scale-up project activities and bring direct positive outcomes in the areas of Accessibility and Connectivity, Urban resilience, Environmental Sanitation, Urban Management and Urban Planning and Municipal Finance. Works will involve upgrading /rehabilitation of a number of artery urban roads and drainage and associated structures such as drainage ditches, culverts/bridges, footpaths and street lighting and local infrastructure such as bus and lorry stands. TSCP also fund development of infrastructure to improve solid waste management including solid waste collection centres, equipment for transportation and disposal, and the development or improvement of disposal sites by constructing modern sanitary landfills. As a requirement of the Tanzania EIA and Audit Regulations of 2005 and the World Bank Safe Guard Policies, an ESMF and RPF as well as various Environmental and Social documents have been prepared to comply the requirements; these include ESIA reports and RAP/ARAP reports where needed. The documents provide guidance for environmental and social issues to ensure that the proposed infrastructure developments are implemented in an environmentally and socially sustainable manner.